As part of the on going Enrichment Series, the Athertyn team and the Pohlig Organization are inviting people to take a trip to Hawaii without getting on a plane! 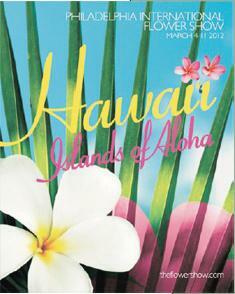 See Behind the Scenes of the Philadelphia Flower Show, where this year’s theme is Hawaii. Our guest speaker, Francesca Northrup, Vice-Chair of the Philadelphia Horticultural Society will give us some insight into what it takes to put this magnificent show together. What a great way to welcome Spring! This event will be held Wednesday, Feb 15th, 2012 from 7:30 to 9:00 pm at the Athertyn Clubhouse, 7700 Parkview Drive, Haverford, PA. Those interested in attending this event can R.S.V.P. to Carrie Sullivan at 610-647-4700 or send an email to info@athertyn.com to reserve a seat.